Choices standard windows are 'B' Energy Rated as standard. Choices help you reduce your carbon footprint! CO2 is the main greenhouse gas effecting climate change. Our homes cause a quarter of all CO2 emissions in the UK. Windows can account for 23% of the total heat loss (CO2) from a building. Energy Efficient Recommended windows are one of the most effective ways to save energy and reduce CO2 emissions. By choosing Choices windows, you'll be cutting your CO2 emissions which will save money on fuel bills. If required, in most situations choices windows can be upgraded to the 'A' Energy Rating. How do you tell if your windows are energy efficient? The British Fenestration Rating Council (BFRC) has introduced a window energy rating scheme very similar to that of domestic appliances. Products that have been tested will display the ratings grade A to G, A being the highest, G lowest. Those with C or above will be able to use the Energy Efficiency tag. 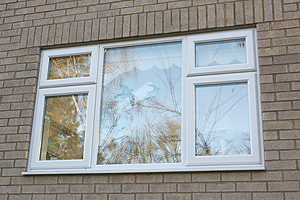 Windows achieving a BFRC window energy rating of C or above can be endorsed under the Energy Saving Trust's Energy Saving Recommendation scheme. This allows the use of their logo to assure customers that the window has met set criteria on energy efficiency.